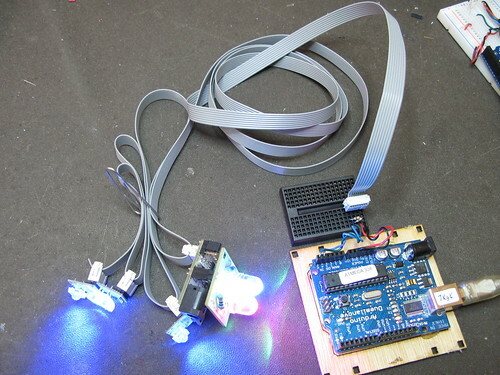 i am using atmega 8 .Will the i2c scanner work for it(above provided) ? I’m using Arduino version 1.0.5 and have all the libraries installed correctly. The reason for this being that in the new v1.x IDE the twi_writeTo function now includes a 5th argument for ‘SendStop’. 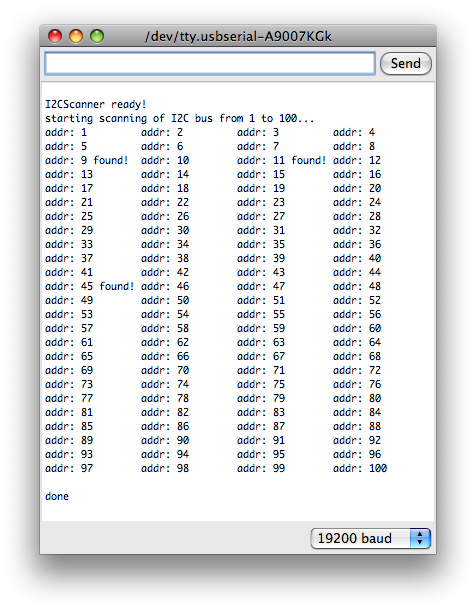 Thanks for this cool example of scanning the I2C / TWI Bus. Have fun with I2C TWI!! I copied this code from your blog site but I cant compile it can you help me. This worked well for me.. The only tweaks being to increase to scan to 127, display hex addresses too and to account for Arduino 1.0.1.